The key to the 49ers’ 23-20 win over the Packers on Sunday? With all due respect to the game-winning field goal going THROUGH the arms of a Green Bay defender, clearly it was having Ric Flair, address the team in a meeting Saturday night. Check it out below. 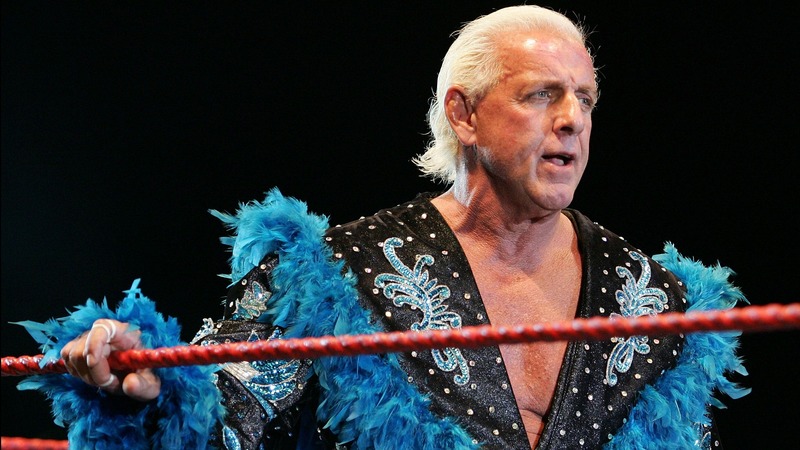 The Nature Boy’s appearance got one Niners player so fired up, he went on Twitter after the wrestler’s speech and called Green Bay a disparaging name. Packers fullback John Kuhn did this after scoring a touchdown early in the fourth quarter. Philip Rivers, in uniform and out of uniform, had a great Sunday. After the Colts’ unbelievable comeback against the Chiefs on Saturday, Indianapolis punter Pat McAfee tweeted a picture from the locker room. The only problem was that Andrew Luck was in background in his birthday suit. Fortunately for the quarterback, the intimate parts were (barely) covered up. It almost makes me believe the picture was intentional, even though McAfee deleted it and apologized. If you were football’d out after watching two NFL games on Sunday and skipped the GoDaddy Bowl between Arkansas State and Ball State, you missed one of the craziest trick plays you’ve ever seen, which according to the announcer, is called "Hide The Midget." Via Deadspin comes this Tweet from the Wade Phillips, who was recently fired as Texans defensive coordinator. Check out what Knicks guard J.R. Smith did do Shawn Marion during a free-throw attempt last night. UFC ring girl Brittney Palmer will be doing a weekly video series for FoxSports.com beginning on Wednesday. Make sure you check the Big Buzz for the debut edition of "Slow and Hot with Brittney Palmer." You can check the trailer below. LeBron James got carded by a hotel bartender last week. Model Jessica Clarke get today’s Fox-y Lady honors.